Students in an idea pitching session. 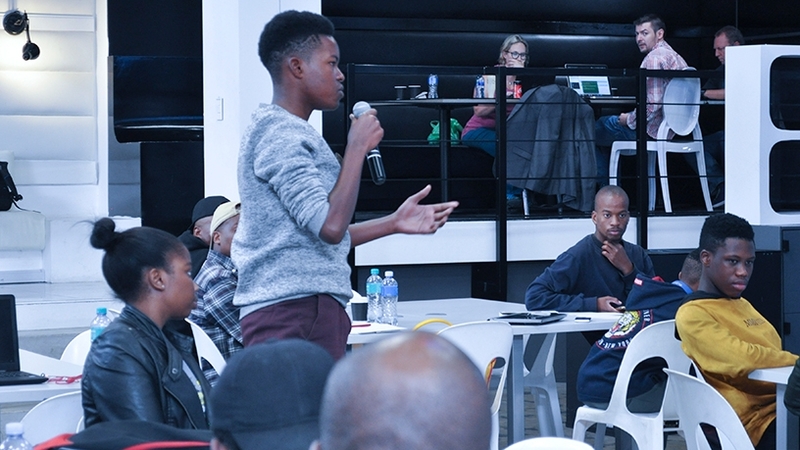 "Intriguingly challenging," is how one student described ITWeb's 2019 #SS19Hack Ideathon, held at the Tshimologong Digital Innovation Precinct in Braamfontein this past weekend. Eight international keynote speakers are heading to SA to join the local experts and share insights with SA's cyber security community. We have Graham Cluley, independent computer security expert and public speaker; Ofir Hason, CEO and co-founder of CyberGym; and Pete Herzog, MD of the Institute for Security and Open Methodologies. To find out more and to register, click here. 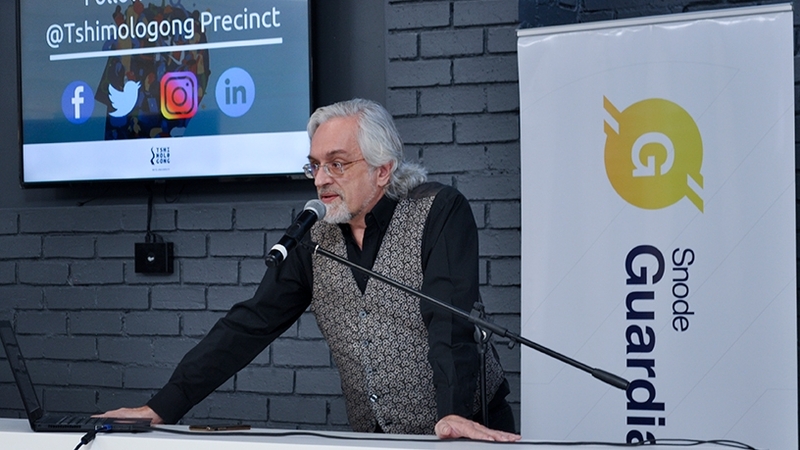 The ideathon is a build-up to the third annual cyber security-focused hackathon that will run alongside ITWeb Security Summit 2019 from 27 to 31 May. 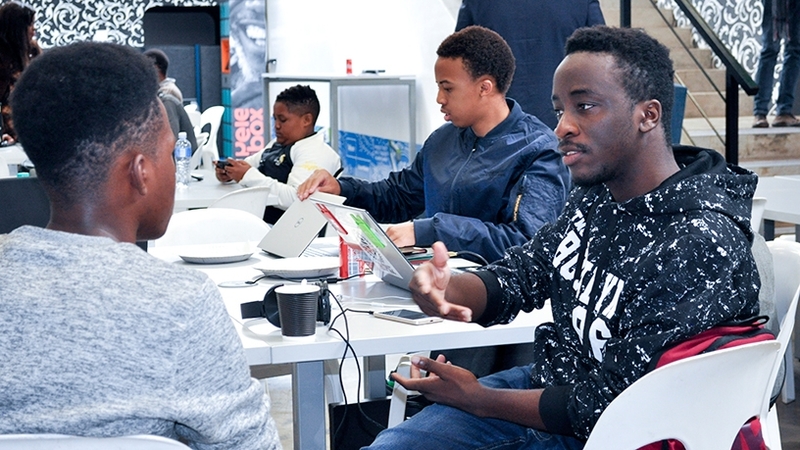 Organised by ITWeb in partnership with Snode Technologies and Geekulcha, the full-day software development training and brainstorming event hosted a bunch of young tech enthusiasts eager to learn new skills and solve problems. 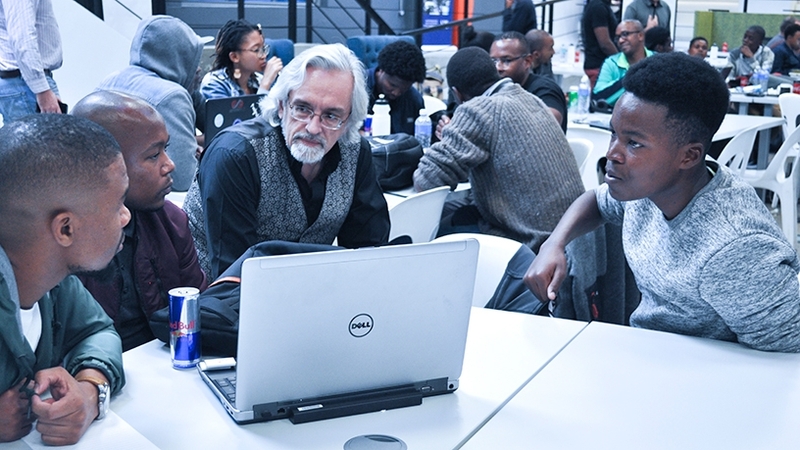 Mixo Ngoveni, founder of Geekulcha, told ITWeb the aim of the #SS19Hack Ideathon, and ultimately the hackathon in May, is to improve cyber security skills, tools and capabilities in the country. "With this one in particular, it is all about protecting the connected citizen." 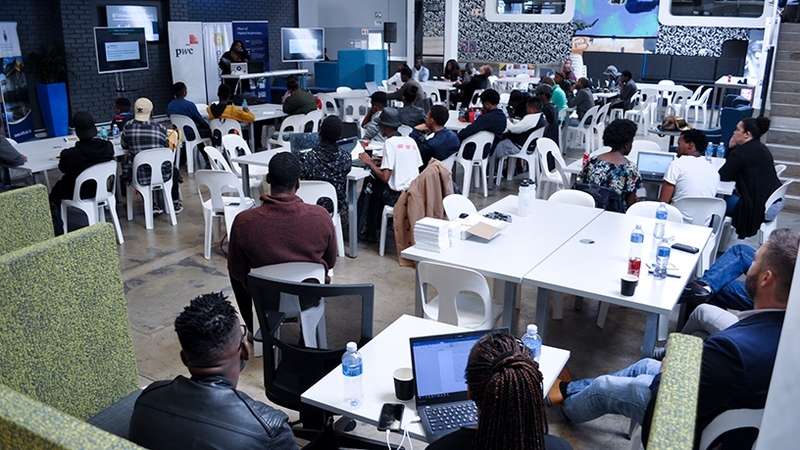 Those in attendance (students, tech entrepreneurs, software and hardware developers, designers and analysts) were welcomed by Kendal Makgamathe, community manager at Tshimologong, and Ivan Regasek, ITWeb CEO. The participants were separated into two teams: the red team (the attackers) and the blue team (the defence). 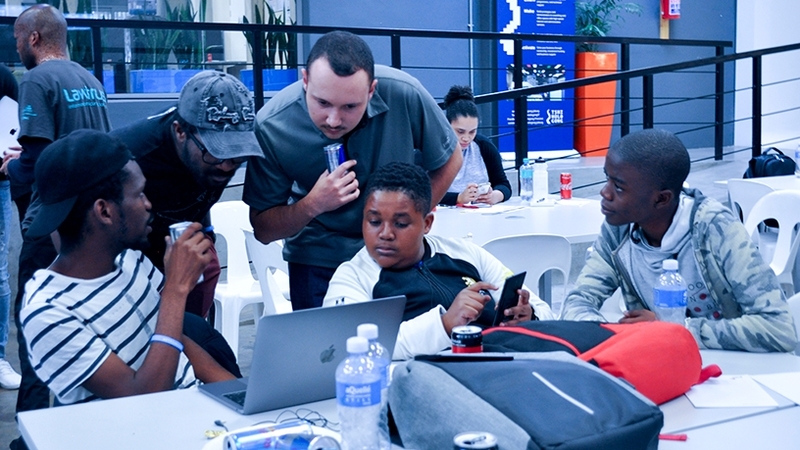 Nithen Naidoo, founder and CEO of Snode Technologies, said the idea behind breaking the teams into two was about the "gamification" concepts, and making it more exciting for both the players and supporters. Ridewaan Hanslo, software engineer, advisor and researcher at CSIR, told the blue team: "You are the people that must find solutions. They [hackers] get glorified by finding problems; that's typically how it works." 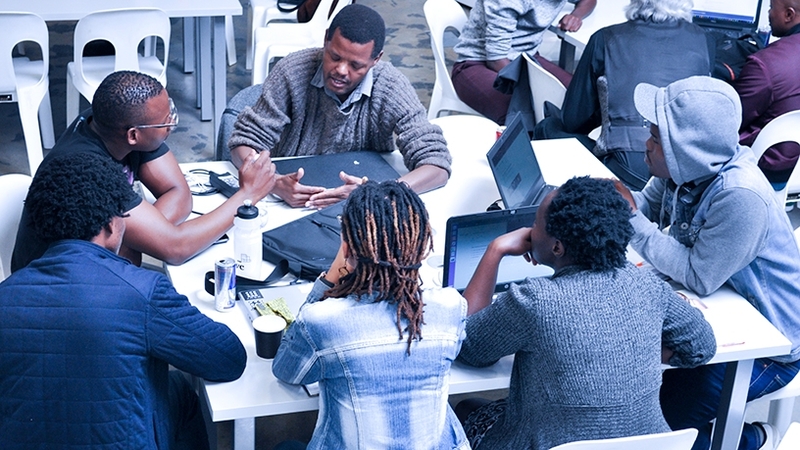 Steve Jump, head of corporate information security governance at Telkom, was one of the mentors and spoke to students about the importance of "securing by design" when writing software. Solomon Bhala, senior manager of cyber threat detection and response at PwC, gave a detailed credit card fraud presentation that had teams actively participating and asking questions around cyber attacks and credit card fraud. 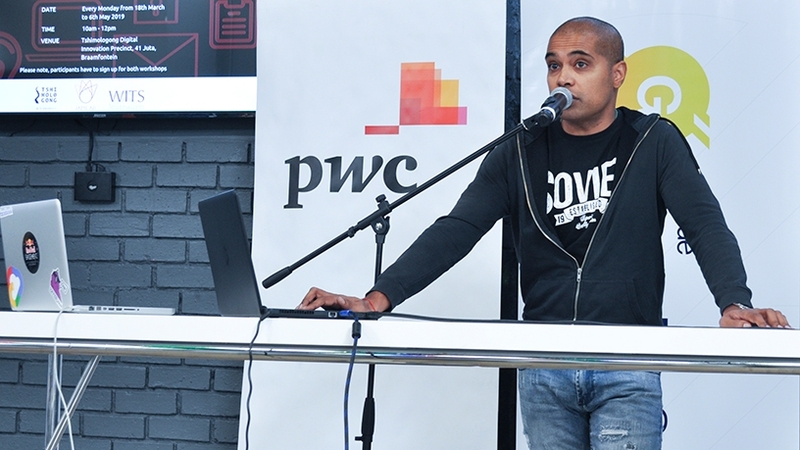 Naidoo noted Snode is working with PwC and a few large security companies to offer all the participants three-month internships so they can take the skills they have learned at the #SS19Hack Ideathon and implement them. They would get to work with knowledgeable cyber security teams, get paid, and potentially become full-time employees of those companies. "So it is a great opportunity not just for us to nurture talent but to source it for other cyber security companies." Idea generation session with Steve Jump, head of corporate information security governance at Telkom. 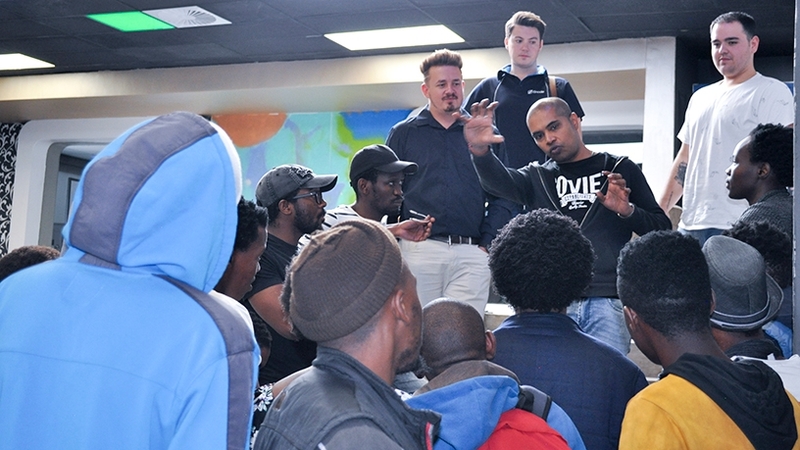 Nithen Naidoo, founder and CEO of Snode Technologies, briefing the two teams. Nithen Naidoo, founder and CEO of Snode Technologies. Q&A session with Solomon Bhala, PWC. Steve Jump, head of corporate information security governance at Telkom. TWeb's #SS19Hack Ideathon in session. Students engaging with Solomon Bhala, senior manager of cyber threat detection and response at PwC. Students during an interface building session with mentor.